With outdoor living, social lifestyles and entertaining being such a feature in the Australian way of life, it’s no surprise that homeowners want inspiring outdoor spaces to feature strongly in the home. Showcasing your property’s ability to entertain friends and family outdoors really sells the alfresco lifestyle dream. 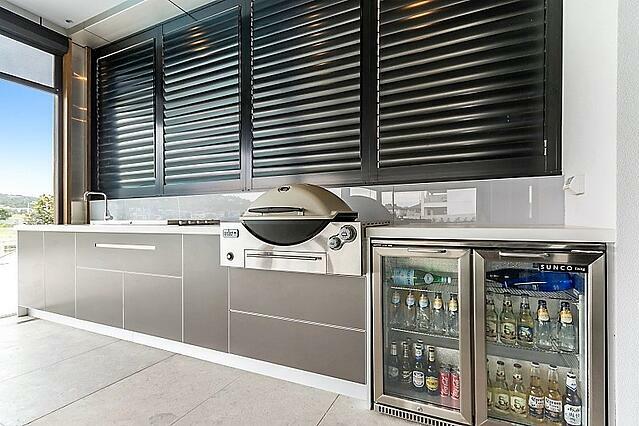 And what better way to do that than with an outdoor kitchen. 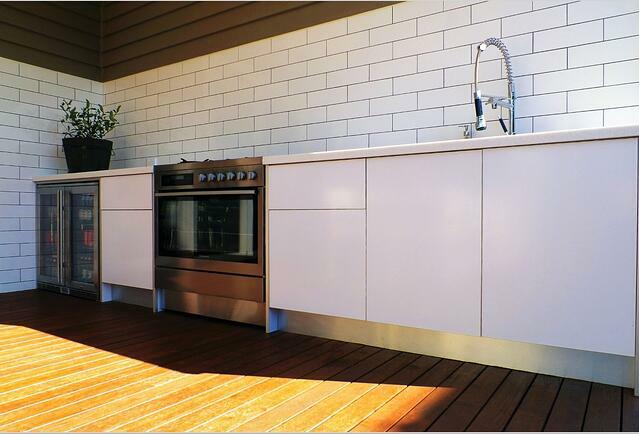 Unlike home extensions, where costs can sky rocket, a well-designed, functional outdoor kitchen can be less expensive while adding more value to your home than its cost. This means bigger bang for your buck! With the added bonus of using it all year round, a covered outdoor kitchen as an extension of the interior living areas provides so much more useable space both indoors and outdoors. Sell your home in Spring or Summer and watch buyers eyes light up when they step into your outdoor space. Imagining themselves at the barbie, entertaining their friends while sipping on an ice cold beer will have them making an offer before you know it. When considering an outdoor kitchen and the value it could add to your home, take into account the style and age of your home and ensure you choose something appropriate. As with any investment, you don’t want to overcapitalize, so selecting a kitchen that suits your home and matches the existing style of the property is key. With a great deal of choice and variety available, it’s easy to get carried away. To ensure you get the most appropriate outdoor kitchen for your home select a reputable and experienced installer with plenty of project photos they can show you. If you can see some of their work in person or visit their showroom then absolutely do that. When it comes to selecting your outdoor kitchen, give plenty of thought to the functionality of the space to ensure you’re adding as much value as possible to the home (again…without overcapitalizing!) A fridge, for example is something people often think about leaving out (there’s a fridge inside afterall.) But do you really want to be walking in and out of the house when you’re preparing food? Probably not. A small bar fridge is a great compromise that you’ll be thankful you included come Summer time! 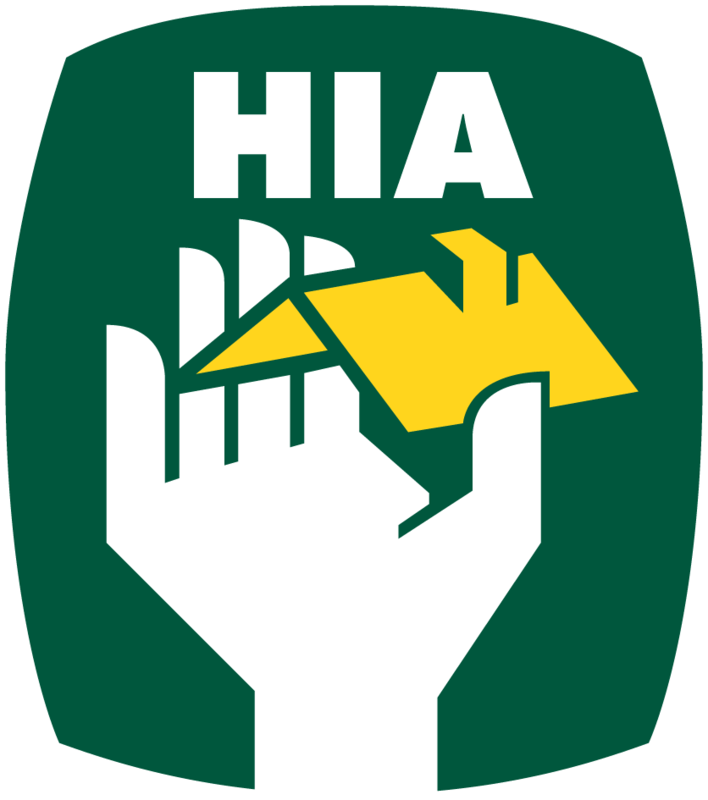 You also need to think about bench tops, the BBQ, prep areas, storage, plumbing (hot & cold water or just cold? ), natural or LPG Gas, electrical points, lighting, accessibility, wine storage, ventilation, shelter, cooling and heating, safety, dining and seating plus more! 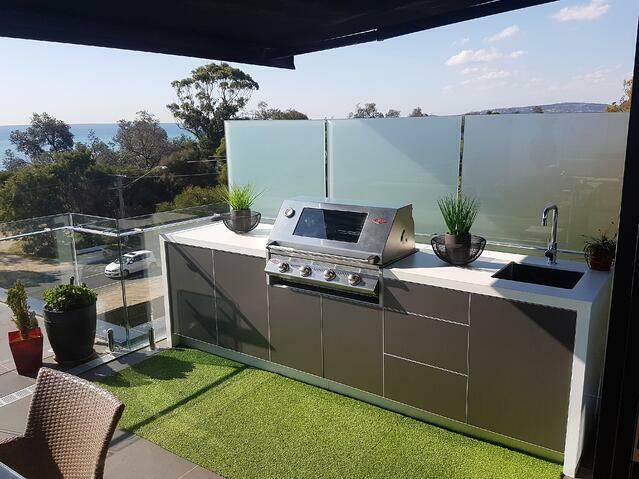 The right outdoor kitchen supplier can help and guide you with all of these things to ensure you’re adding the most appropriate and best value outdoor kitchen to your home.